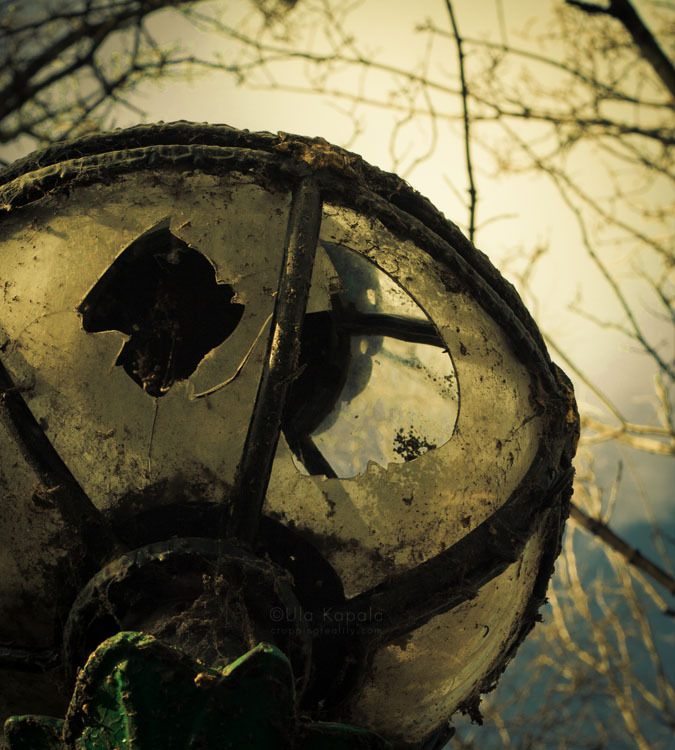 A broken lantern in a park. Nice shot Ula I like the colours and realism, why did you crop it like that-not a critiscm,just out of interest. It seemed like the best way to go. The whole picture didn’t seem as surreal. I wanted a regular square, but I’d have to chop off too much of the top or bottom.